So, what do we think of the A83? It’s a beast for a smartphone below Php 10,000, compared to the likes of, let’s say, the Samsung Galaxy J7 Core which was released late last year and this is a huge reason for everyone in the same market to evaluate the stands in the market, considering that this is the Philippines where most of the people play games . What we can say is that the A83 is a pretty well-rounded smartphone. The Oppo A83 feels like a competent all-rounder. Despite Oppo using selfies as the main selling point again, this phone is more of a general-purpose workhorse, without any major features that really stand out. It doesn't have dual cameras on the front or rear, and it doesn't have any specifications that break the mould for this price band. The one thing that sets it apart from the best options in the sub-Rs. 15,000 market right now is its 18:9 screen. Other manufacturers are already gearing up to release new models, but for now Oppo has the advantage. The OPPO A83 is a well-balanced smartphone that offers a good enough balance between price and performance. OPPO has focused on some gimmicks like Face Unlock but it works well enough. We quite dislike the fact that the company has gotten rid of the fingerprint reader since users should have the option to select their preferred security method. The OPPO A83 may have a different name but its roots stretch out to the F5 family. It has a large 5.7-inch Full Screen display in a small yet slim body, good performance for its class, decent cameras with A.I. Beautification technology, Face Unlock, and a long battery life. It would have been better though if it had a fingerprint scanner or a larger storage, but at least it doesn’t cost much at Php9,990. So if you’re looking for a device that’s below Php10K, this phone is one worth considering. Positive: Nice performance; elegant design; good price. 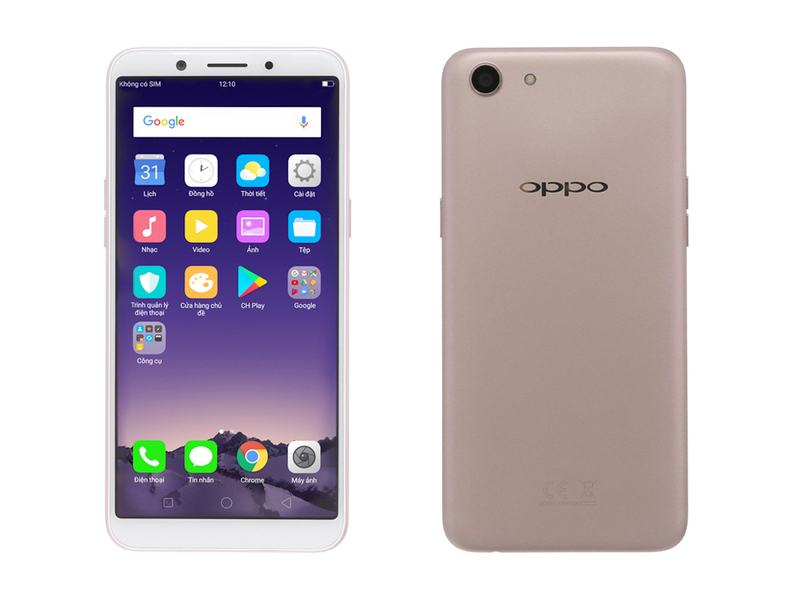 Trải nghiệm nhanh hiệu năng của Oppo A83: Dưới 5 triệu đã có Helio P23! Positive: Good price; decent hardware; nice performance; large screen. Positive: Impressive design; frameless; good price. Negative: Plastic case. Positive: Good price; nice design; good display; decent hardware. Model: Oppo is a Chinese consumer electronics and mobile communication company. In particular, they are known for their F-series phones. The Oppo A83 is a cheaper alternative if the F5 (about $440; www.fonearena.com) is too expensive for you. For about $219.00, it offers a mainstream hardware, what they call A.I. Beauty recognition technology, and a tall screen. 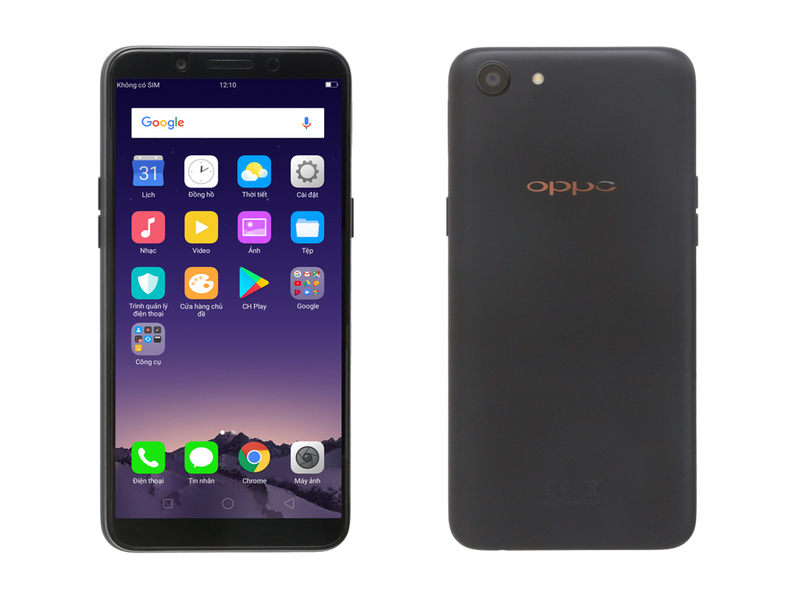 While the Oppo A83 follows the trend to 18:9 formats, it does not feature a border-less design. Color variants are Champagne and Black. The phone is made of plastic, measures at 150.5 x 73.1 x 7.7 mm and weighs at 143 g. The sides are curved for a comfortable feeling in the hand. However, gadgets.ndtv.com complains that the lip surrounding the front glass feels a little scratchy and so does the rear camera, which protrudes by about 1 mm. Moreover, indianexpress.com says that the back cover is prone to fingerprint smudges. 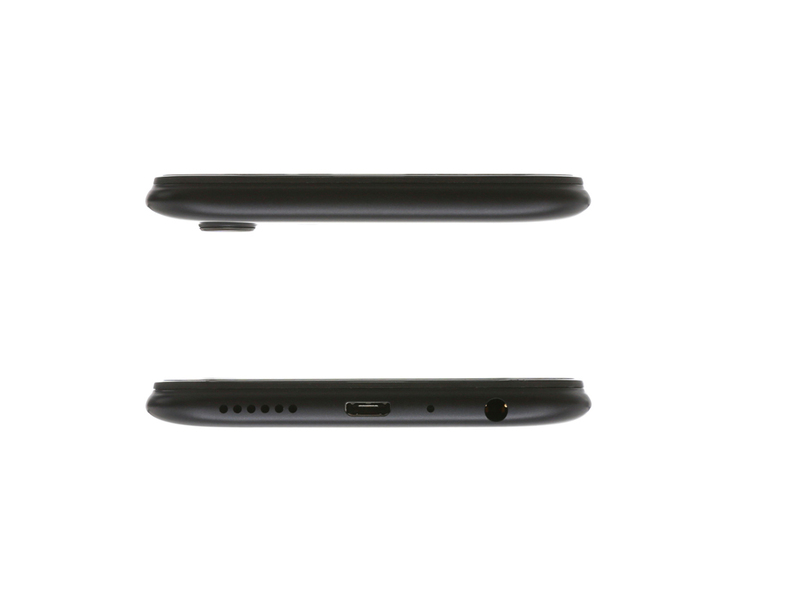 The phone has a micro USB 2.0 port and even a 3.5 mm audio socket. It supports two Nano-SIMs and one microSD card. Wi-Fi 802.11n, Bluetooth 4.2 and GPS are available, but there is no NFC. The phone uses on-screen navigation buttons for navigation instead of physical keys. Surprisingly, a fingerprint reader is missing. You get standard face recognition, which is not as secure or convenient in all situations as Apple's Face ID according to gadgets.ndtv.com. economictimes.indiatimes.com finds that it works almost as good as the OnePlus 5T as long as there is adequate lighting, but in low light it struggles to work. indianexpress.com also faced difficulties using the face recognition in low-light and had to manually enter the code to unlock the phone after several failed attempts. The 13 MP rear camera features a f/2.2 aperture and a LED flash. The ColorOS camera app resembles Apple’s design. HDR is supported, but there is no optical zoom. You can adjust white balance, shutter speed, exposure, focus and ISO manually in expert mode. gadgets.ndtv.com finds that textures look a bit rough and artificial in daylight shots and night-time shots show lots of noise and blurring if there's even the slightest motion. economictimes.indiatimes.com noticed that due to lack of OIS handshakes often lead to soft details on the images. indianexpress.com liked the color reproduction and details in photographs taken in bright outdoors, given the price of this phone. However, the low-light results are not as sharp and lack details in their opinion. www.firstpost.com describes that video recording was limited to 30 fps at 1080p, but showcased a lot of dropped frames, and looked jittery. The 8 MP front camera also features a f/2.2 aperture. It lacks a dedicated flash. gadgets.ndtv.com reports that the "AI-powered" beautification makes skin look completely artificial at the maximum level and that they have seen more customizable adjustments from other manufacturers. 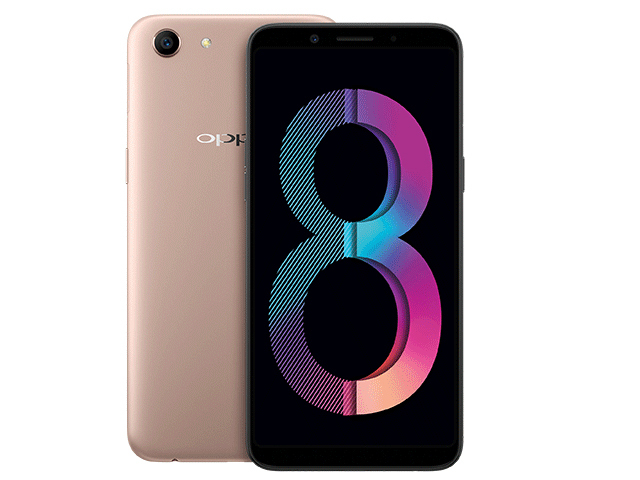 The Oppo A83 features a capacitive 5.7-inch TFT display with 16 million colors, an aspect ratio of 18:9, a resolution of 720 x 1,440 pixels and a pixel density of 282 PPI. The resolution is lower than the F5’s. gadgets.ndtv.com reports a slight issue of with viewing angles, “Whites tend to take on a yellow or blue tone if you're looking at the screen from off-centre”. They find that text is crisp, and brightness is good enough for outdoor use. In economictimes.indiatimes.com’s opinion the screen impresses with vivid color and excellent brightness and it is easy to read under direct sunlight. The A83 shares many hardware components with the much more expensive Oppo F5, for example the MediaTek MT6763T (also known as the Helio P23) octa-core processor with integrated Mali-G71 MP2 graphic chip. It features 3 GB of RAM and 32 GB of storage. The storage capacity can be expanded by up to 256 GB with a microSD card. Just like the F5 the phone runs Android 7.1.1 (no Android 8 here) with Oppo's custom ColorOS skin. The latter looks and feels similar to iOS. gadgets.ndtv.com published the following benchmark results: 68,132 points in AnTuTu, and 3,903 points in PCMark's Work 2.0. Thanks to its lower display resolution, the A83 achieved a better result (36 fps) than the F5 (22 fps) in GFXBench's T-rex test. www.firstpost.com complains, “Asphalt 8 Xtreme saw stuttering between menus, and even slow loading of 3D objects within those menus. The game was unplayable at high texture and and HDPI settings”. In contrast, www.gadgetmatch.com says that Asphalt Extreme, runs on extra high settings with high frame rates and zero lag. gadgets.ndtv.com reports that the rear of the phone got slightly warm after a few minutes of playing Modern Combat 5. indianexpress.com writes that the phone remains cool during long binge-watching sessions or long hours of playing Candy Crush Saga, but tends to get warm within 20 minutes into games like Asphalt-8. 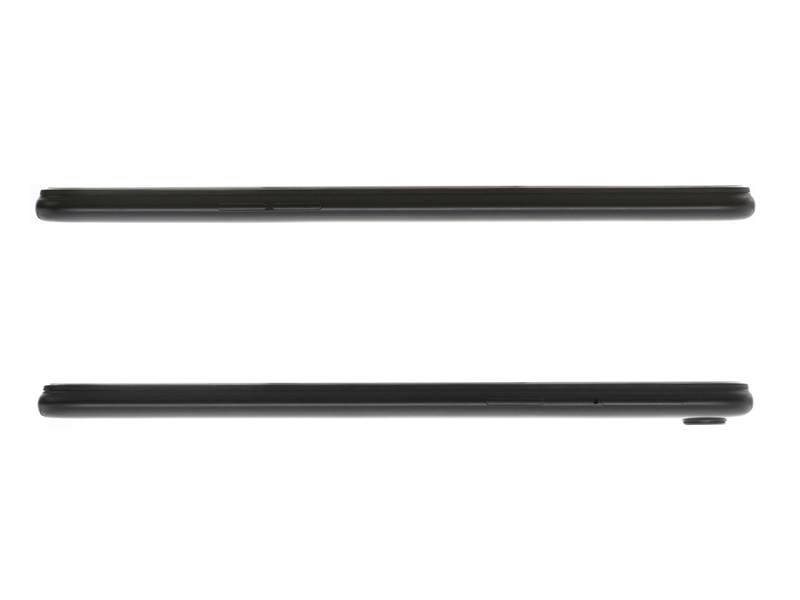 The battery features a capacity of 3180 mAh. It is non-removable and fast charging is not supported. In gadgets.ndtv.com’s HD video loop test, the phone lasted 11 hours, 55 minutes. www.firstpost.com’s standard PC Mark Work 2.0 Battery Life ended after 10 hours and 4 minutes. In comparison, the Xiaomi Redmi Note 5 comes with a 4,100 mAh battery and fast charging in the same price segment. According to www.firstpost.com the speaker on the Oppo A83 sounded tinny and the audio would tear when played at high volumes. They say that call quality was decent. www.yugatech.com confirms that the call quality is loud and clear. The Oppo A83 features similar hardware as the F5 for a cheaper price. However, battery capacity, display resolution and camera resolution are lower and it is made of plastic instead of aluminum. The lack of a fingerprint reader is disappointing. Most on-line magazines share the opinion that the phone costs too much for what it offers. Alternatives in the same price bracket are for example the Moto G5S, and Xiaomi Mi A1. www.firstpost.com compares the Oppo A83 to Xiaomi's Redmi Note 5 Pro and finds that the latter offers better performance in every category and turns what would have been a great smartphone buy in the budget smartphone range into an average one. 75.33%: This rating is not convincing. The laptop is evaluated below average, this is not really a recommendation for purchase.